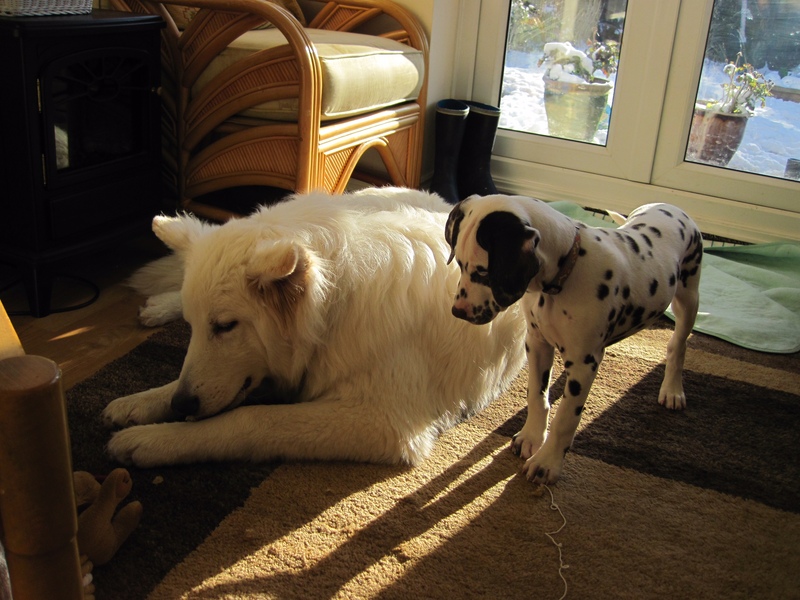 Dalmatian Welfare » Considering a rescued Dalmatian? Did you know that a majority of dogs in rescue are under the age of 1? It’s a sad fact that many dogs are put up for re-homing before they reach maturity. The same is true for Dalmatians, as most owners aren’t prepared for adolescence, and the many changes in behaviour that go along with it. Your sweet, innocent puppy, suddenly becomes a “teenager” that doesn’t want to listen to you anymore. You lose the wonderful recall you use to have, because it seems they don’t need you as much anymore, they appear to be stubborn and untrainable. In short, they’ve become really hard work, and you’re ready to tear your hair out!! This tends to happen around the age of 6 months, when the hormones start to surge. Hormones are a fundamental part of their development, and will continue until the dog has reached full maturity. In the case of Dalmatians, it will be around 3 – 4 years old. The important thing to remember is that ALL dogs go through this, your puppy hasn’t suddenly turned into an evil monster, they are just going through important changes in their bodies and minds, the same way that we do in those formative years. One thing to consider, as puppies are growing up, is that they go through fear periods (much as children do). Sudden changes in behaviour can usually be attributed to these times. What was once a friendly, sociable dog is now growling and barking at strangers in the street. So before resorting to desperate measures, it’s important to consider that it could be a developmental phase. Although it is worth knowing if it’s a response to an event, or shock, or an overload of stress factors. If this is the case, it’s always advisable to contact a good trainer to guide you through. If it is, indeed, a fear period, they usually last between, a few days, to a maximum of a few weeks (if the behaviour continues beyond this time, consult a professional). There are 3 fear periods during a dog’s development, and these occur due to changes in hormone levels, and often coincide with periods of growth and awareness. The first occurs when the puppy is around 8 weeks old, so it’s no longer advisable to take a puppy from its mother at this point. The second one is when the puppy is around 4 months old, when he progresses from a puppy to a young dog. This is when his puppy privileges have expired, and it’s now time to deal with situations in a more mature way. It’s noticeable that he displays fearful reactions to things and situations that were normally only a few days ago. The third occurs between 8 and 10 months, depending on the individual dog. This is sometimes known as the ‘pre-adolescent’ stage. Dogs learn to cope in their world, social relationships change, as a ‘teenager’ dog has to deal with hormonal changes, growth (physical and cognitive), and early sexual maturity. A dog is completely adult when the brain is fully developed, at around the age of 2 years old. In some cases, natural fear is a sign of maturity. And what is the best way to deal with these periods? Do absolutely nothing! Just support them through the difficult few days, and help them handle the fear, in the least traumatic way. Don’t force the dog to walk down the road he’s afraid of; find another road he’s happy to walk in. Gentle desensitisation can be helpful, if really needed. Don’t use harsh tones and commands, as this reinforces the fear, and the idea that there’s something wrong. Hormones play a very important role in development, and the neuter/spay option is a very personal one. A lot of dogs in rescue are usually neutered before they are adopted, as there are too many unwanted litters, and rescue centres are full to capacity at the best of times. If you are thinking of giving a Dalmatian a forever home, and they have yet to be neutered or spayed, it is worth considering your options, particularly if you intend to have one that is below the age of full maturity, or you are taking on a dog with behavioral problems. 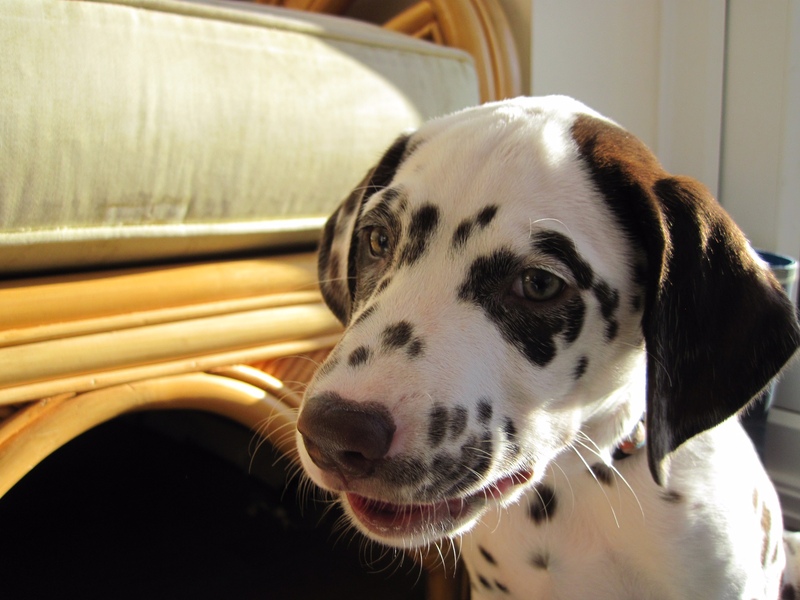 Remember that all High Uric Acid (HUA) Dalmatians are all at risk of forming Urate stones, so we would not recommend neutering or spaying a Dalmatian until their urinary systems are fully mature at 15-18 months of age. Neutering isn’t a cure all for such problems. In male dogs, it will not improve behaviors that aren’t affected by testosterone; it can potentially make some behaviors worse, such as fearful aggression. It is suggested that neutering dogs before puberty may lead to adolescent characteristics being retained, including excitability, short attention span, and low attention threshold. Health related risks may also outweigh the benefits. Of course, this is a very personal decision, and most vets would advise neutering/spaying as soon as possible, but it is worth getting to know the dog you have chosen to adopt first, and seek guidance from a trusted behaviourist, so that the best option is made for everyone concerned.